Silver zodiac ring with black spinal and white topaz gemstone,, Pendants or Charms,Pendants, Guangdong, China (Mainland), Hutang.Source, Some of the products sold by the company in the category Gemstones Gems Rings Pendants Rashi Ratan Rashi Stones are Zodiac Rings / Pendants. 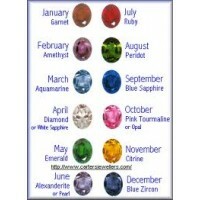 Global zodiac rings/pendants is based on the sun signs and is to be worn as per your birth date. Global zodiac rings/pendants can enhance the willpower, confidence, assertiveness and concentration of the wearer. Thus they can help you excel in your business job, studies profession, career, relations etc. By improving your personality. Thus they can help you reducing all the anger, mental tension, mood fluctuations and stress felt by the human body, thereby increasing our productivity. Those who do not know their date of birth are required to wear specially made five metal golden topaz rings/pendants.